Docupace Technologies is the provider of secure and compliant electronic processing solutions for financial services firms and their advisors. Clients: Broker-dealers, RIA firms and individual advisors. Value proposition: Provider of a fully regulation-compliant and secure digital-operation platform, including document management, workflow, client onboarding, digital signatures, forms processing, and data management functions. Ron Wallis, Chief Technical Officer, and others. Docupace aims to simplify operations in the highly regulated business of wealth management, which is bound to red tape burden, oversight, audit, retrieval request, etc. The company digitizes operations for wealth management firms providing smooth integration of their technology into one digital environment. To meet with Mark Tapling, CEO at Docupace, I started out for Los Angeles, where their office is situated. This place is teeming with huge business centers and hosts a number of big-name offices. In one of them, at Wilshire Boulevard, we discussed the company’s structure, activities, offerings, and technical details, and the prospects of the market. Mark is a great conversation partner and a notable expert. His track record includes 18 years in CEO positions in the technology business and SaaS market. He joined Docupace team as a board member two years ago, and was then supporting the company in a consulting capacity for seven months before being appointed as CEO in April 2018. Michael Pinsker, the founder and the Chairman of the board at Docupace, is actively involved with the organization and is critically important to its business growth. Bringing Mark in as a CEO enabled Michael to dedicate more time to his vision and leadership of the product and strategy, which has been quite successful in the market. Wealth-management businesses have specific operations that are heavily bound to rules and security. Each company faces the need to organize document management and operations in a safe and compliant way, and each does this their own way. Such variety causes problems during integrations and acquisitions. Over the years Docupace transformed from a cloud-based enterprise-grade workflow and document management platform to the universal digital-operations platform specifically for wealth-management companies that is easy to integrate with any company and the platform that positions firms to be able to adapt to changes in regulation, and that ensures predictable deployment. 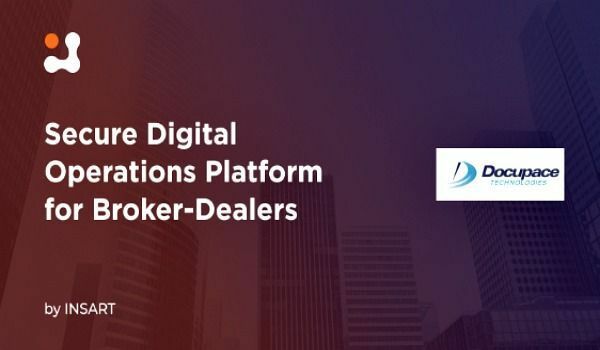 Docupace implements such a platform to financial services firms including but not limited to top broker-dealers in the industry. In many cases these companies have grown their business through acquisition, so every time they acquire an organization, they also acquire that organization’s technology stack, infrastructure, and all the other component pieces. Those customers are looking for a backbone that will enable them to digitize the operation, and Docupace perfectly suited to the task. Data center. Docupace have partnered with Switch Communication in utilizing their tier 5 gold certified Data Centers in Nevada, which are a highly secure facilities. At the physical security level, they have military veterans with war experience guarding physical access; at the infrastructure level, they have unprecedented bandwidth connectivity coupled with the best security practices. Also, Nevada has the lowest incidence of natural disaster. Fast start. The deployments for platform products have a reputation for being painfully and notoriously slow. Fast start is a predictable deployment process performed by experienced Docupace professional service team that allows the delivery of 50% of the value to the customer in the first 30–45 days. On-demand integrations. Docupace use RESTful API and proven practices to implement integrations quickly and in a fully compliant manner. Transition assistant. Industry metrics for the past five years show that, on average, approximately 4,000 advisors move from one firm to another monthly. The service provided by Docupace codifies the paper trail and automates the process. FINRA/SEC Compliance focus. Docupace have a significant infrastructure that ensures compliance. For instance, They support SEC/FINRA regulations; in particular, such rules as 17a-3 and 17a-4. With many industry experts on staff, Docupace understands the importance of regulatory compliance tailors its offerings to accommodate compliance needs of wealth management firms. Below, we’ll take a closer look at how they have managed to implement these great features. Despite Mark being a non-technical and having only become CEO this April, he shared many details about the technical implementation of Docupace. the STP integration with clearing houses, custodians, or product manufactures like mutual fund companies or insurance carriers. Among the products the company integrates with are Salesforce, Redtail, Smart Office, Envestnet, AnnuityNet, MorningStar, Caesar, M&O and number of others. On a STP integration side Docupace works with Pershing, NFS, TD, American Funds to name a few. The company don’t necessarily publish their APIs or put them on a website for anybody to write into it. 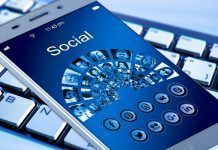 Instead, they cooperate with clients and integration partners to deliver best user experience via the integration before providing them with the API. Product organization, which consists of an outward-looking team that determines the value proposition, the use case, the critical compliance elements, the experience that they are trying to deliver, etc., and an internally oriented team that takes those specifications and converts them into engineering sprints. An engineering team, which conducts business analysis and development. An architectural team, which is focused on defining the fundamental base architecture of the platform. Site Reliability team, which loads these products into a test environment and then into production to maintain the highest level of reliability and availability of the platform. The platform organization, which is responsible for all of the hardware and network infrastructure that is used to deliver the service and capabilities to the customers—servers, internet connection, security products, failover, redundancy, database, and so on. The marketing team. The team is responsible for communications and demand generation. The sales organization, which looks for direct sales. This contains a sub-team dedicated to building partnerships and arranging integrations. A professional services team, which is responsible for smooth delivery and configuration of the platform for new and existing customers. The customer care team, which provides quick responses to customers. The finance team, which manages payroll, collects invoices, and pays the bills. Mark says that in the architecture they don’t have any components that nobody wants. They are a Java shop using containers and RedHat for their management. Also, they use Oracle databases, EMC storage, and virtualization. In addition to their own leadership, Docupace asks clients to give feedback and suggestions. Among their competitive advantages in design thinking are vertical knowledge about the industry, and persona modeling. In terms of deployment, they are agile and practice Scrum. They decided to move to a tri-annual release schedule. According to Mark, small companies often struggle to both make a profit as broker-dealers and support the advisors, this is why digitizing their back-office could have been quite profitable for both these 35,000 companies and Docupace. 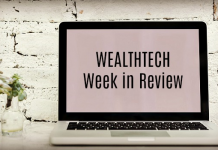 Also, they strive to work on compelling offerings that promote advisor adoption such as ease of user enhancements, product capabilities for them to conduct business in a simplified fashion. Docupace has everything necessary to build strong relationships with clients and deliver a great product. I want to thank Mark for sharing his valuable thoughts about the industry and about Docupace, and I hope they overcome all the challenges they’re facing.